Backpacking Hosteling Philippines for adventure Youth Hostels listings Cheap Hostels available, Backpacker Accommodation destinations Hostelling Backpackers hostel. Z Hostel 3 stars Accommodation. Located in Makati City, Z Hostel offers stylish and comfortable accommodation with free WiFi access throughout the property. Airport Backpacker’s Inn 1 star Accommodation. 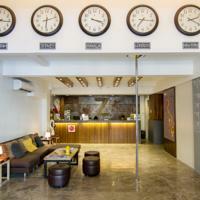 Airport Backpacker’s Inn is set in Manila, 600 metres from City of Dreams Manila and 1.3 km from SM Mall of Asia Arena. Every room is equipped with a private bathroom. Last booked: October 16. Backpacking Hosteling. 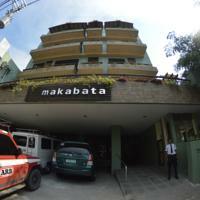 Makati Junction Hostel 2 stars Accommodation. Situated in Makati City, Makati Junction Hostel offers chic and modern accommodation with free WiFi access throughout the property. The hostel is about 700 m from Rockwell Drive and Power Plant Mall. The famous Greenbelt and Glorietta Malls are within 1.8 km away, while Ninoy Aquino International Airport is 9.2 km away. 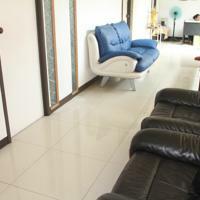 Simply furnished, air-conditioned rooms come with tiled flooring, a personal locker and freshly-laundered bedding. Guests have access to the shared toilet and shared bathroom with shower and free toiletries. Hairdryers are also available. At Makati Junction Hostel, the friendly staff can assist with luggage storage, laundry/dry cleaning services and tour arrangements. A common lounge area is available, while free parking space is provided on site. The in-house bar and cafe serves daily breakfast and delicious pastries. Backpacking Hosteling. Tambayan Capsule Hostel & Bar 2 stars Accommodation. Tambayan Capsule Hostel & Bar offers accommodation in the Malate district in the heart of Manila. Gue. There is a shared lounge area and a library for guests who prefer spending time indoors. Free WiFi is available throughout the entire property. 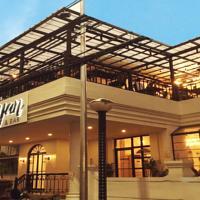 Tambayan Capsule Hostel & Bar is 1.2 km from Rizal Park and 1.4 km from Manila Ocean Park. Intramuros is 2 km away, while World Trade Center Manila is 2.6 km from the property. It is a 15-minute walk to the Manila Zoological and Botanical Garden. Ninoy Aquino Airport is 8 km from the property. The property offers airport transfers and car rentals at an additional charge. All the rooms in this property have air-conditioning and some rooms come equipped with a flat-screen TV and a desk. Some units have shared bathroom access. Guests can approach the 24-hour front desk for tour services and excursions. Guests can hire bicycles at an extra cost to explore the surrounding area. Backpacking Hosteling. How expensive is the Philippines? In this video I break down the costs of travelling from accommodation prices to food and even transportation. Hope this helps you out on your next backpacking adventure around this beautiful country! The Rough Guide to the Philippines. The new-look Rough Guide to the Philippines – now in full colour throughout – is the ultimate travel guide to one of the world’s most exciting countries. Discover its dazzling beaches, rice terraces and jaw-dropping marine life with stunning photography, colour maps and more listings and information than ever before. You’ll find detailed practical advice on what to see and do in Manila – from museums and art galleries to the place to eat halo-halo and adobo – as well as up-to-date descriptions of all the best attractions, dive sites, beaches, mountains, festivals, hotels, bars, clubs, shops and restaurants throughout the archipelago. Make the most of your time on Earth with The Rough Guide to the Philippines. Take A Break Holidays takeabreakholiday, Backpacking Hosteling Accommodation.